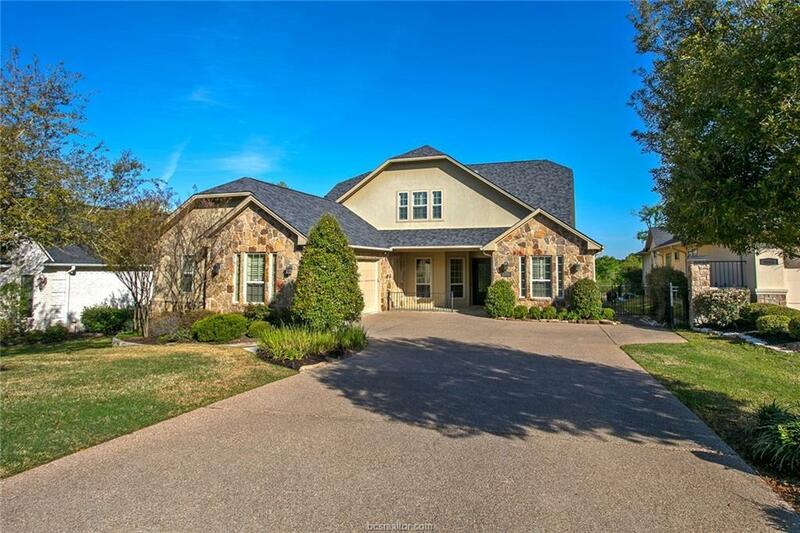 Come tour this beautiful, well-kept home in Traditions. This house features 4 bedrooms and 3 full baths. Enjoy your spacious master suite with double sinks and spacious walk-in closet. The large kitchen boasts granite counter tops, ice maker, breakfast dining area, and a bar top that opens into the large family living area. The living area features raised ceilings, a gas fire place, and huge bay windows that overlook the 5th hole at the Traditions golf course and a large, enclosed patio with another fireplace and flat screen television. The formal dining room is located just off the kitchen. The home features a bonus room at the front of the house, to be used as you see fit… a game room, an office, or even a 5th bedroom. A two-car garage that leads in to a spacious mudroom, and a large, iron fenced-in backyard completes this gorgeous 4,016 square foot home in the heart of Traditions. Additionally, a brand-new roof was installed on this home in August 2018 along with a brand-new tankless water heater. The house is just a two-minute drive to the Traditions clubhouse, pool area and tennis courts. You’re also just a four-minute drive to Easterwood airport and The Texas A&M University campus.